﻿ Kyungwon BIZ Motel, Ulsan | FROM $38 - SAVE ON AGODA! "Clean and simple budget hotel." Have a question for Kyungwon BIZ Motel? "Less than 10 minute taxi ride to downtown Dong-gu (including..."
When visiting Ulsan, you'll feel right at home at Goodstay Kyungwon BIZ Motel, which offers quality accommodation and great service. Only 15.20 Km from the city center, the hotel's strategic location ensures that guests can quickly and easily reach many local points of interest. With its convenient location, the hotel offers easy access to the city's must-see destinations. 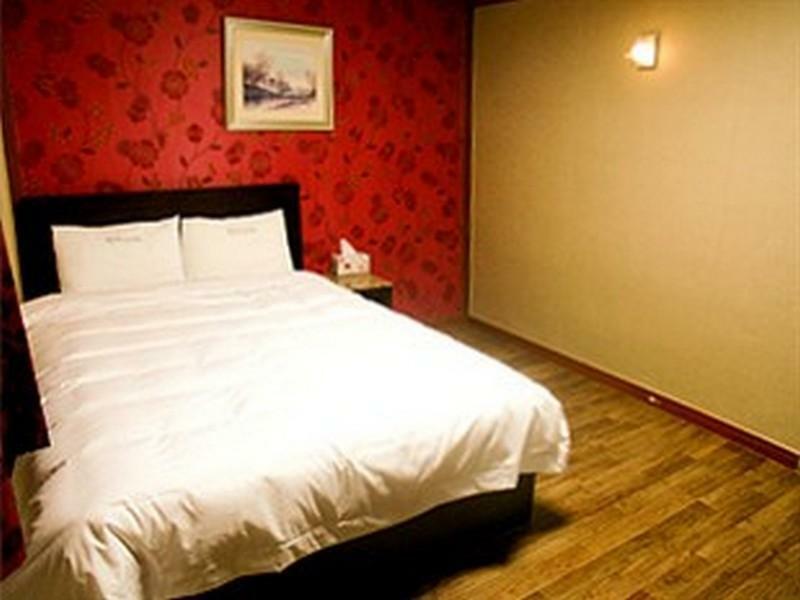 At Goodstay Kyungwon BIZ Motel, the excellent service and superior facilities make for an unforgettable stay. 24-hour room service, free Wi-Fi in all rooms, 24-hour security, fireplace, laundromat are just a few of the facilities that set Goodstay Kyungwon BIZ Motel apart from other hotels in the city. All guest accommodations feature thoughtful amenities to ensure an unparalleled sense of comfort. The hotel's recreational facilities, which include hiking trails, hot tub, sauna, fishing, garden are designed for escape and relaxation. Goodstay Kyungwon BIZ Motel is a smart choice for travelers to Ulsan, offering a relaxed and hassle-free stay every time. "Free laundry service every Tuesday, Thursday and Saturday." Clean and simple budget hotel. - Very quite neighbourhood. - The room is equipped with kitchen and utensils. - Free laundry service every Tuesday, Thursday and Saturday. - Less than 10 minute taxi ride to downtown Dong-gu (including the traffic lights waiting time :)) - Friendly and English speaking staff. - Definitely value for money. - Looking forward to staying again on my next trip to Ulsan. Easy to get the taxi here just ask counter to get it. Many groceries and convenience shop around here. Just little bit difficult to find for taxi, but when we found it, it was a good and comfortable stay in ULSAN. I d like to come back again on this place : not expensive and comfortable. Silent room, comfortable bed, very close to HHI main gate. I advise people to go there for business and more if possible. Many resto and pubs are near and easy to find. shopping also are close to this place. At night and early morning no noise from road traffic. The personal are very kind and english speaking, very helpful. Many thanks for this stay. Room was clean, and the shopkeeper's English is good. It is not a seaside hotel but close to the sea. One bus station is just around the corner, it is convenient for going to the beach, but it may take 50 mins to downtown. One of the best things is the free bike! You can rent a bicycle during your living days. Anyhow, it was a good hotel, I will book this hotel next time when I go to Ulsan. Have stayed here twice. Friendly but not overbearing staff. Clean rooms, good facilites, value for money. It seems like they renovated rooms recently so they are very clean. Also my room had a kitchen so I could have cooked if I had known it before. Staff members were very kind and helpful. I enjoyed staying this hotel. It was much better than I had expected. I want to stay this hotel later if I take a business trip in the future. We where upgraded to a bigger room. very Good, but there was a terrible smell from smoking in the room....Not good at all. Very Nice and the staff are very polite. It turned out to be a very pleasant experience. This was a great place in the perfect neighborhood for me. The cost was perfect. The internet was fast and reliable. The staff was friendly and helpful. The only down sides were that the hotel is a little bit away from a main street, so getting a taxi to take me back was a challenge sometimes, and they were doing construction every morning outside of my room. Other that that, I look forward to staying there again in the future. 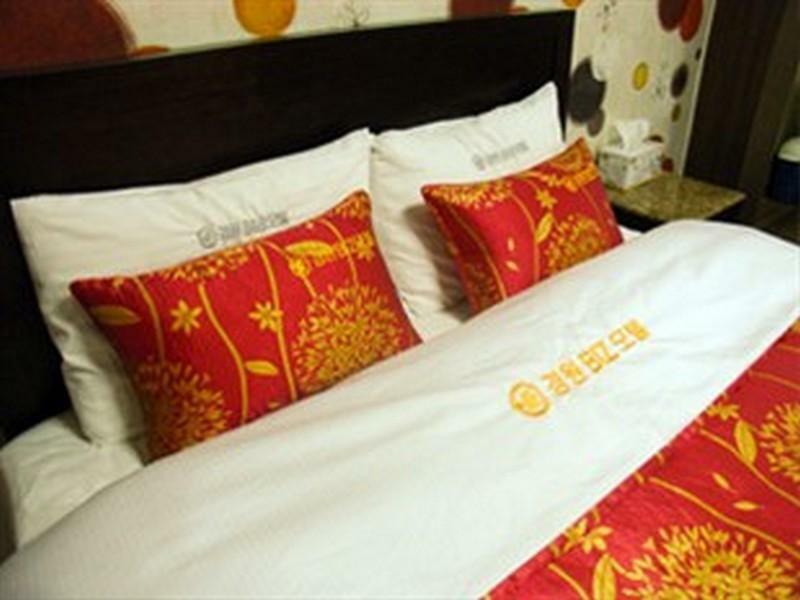 The hotel is located near the port, easy access with walking distance. The room is clean and comfortable. The hotel staffs are helpful and great. The hotel can help us order local food, which is a plus plus plus point. Quiet location, short distance to bus stop, taxi immediately available, clean and comfortable enough room. Fast internet access. If you look at a city map you may think it's in a good locale- but it's not. There was a bus line, and some food choices for different tastes within walking distance. If you know the city, and can navigate the buses it may be a good deal. If not, you'll be spending a lot of time figuring things out where to go/spending more than you think on taxis. If you were there for business, you probably have a car, so the distance thing is of no consequence. So in that sense the place would be fine probably as it was clean and the desk person was talkative and helpful. The owner is very considerate and it was a good stay.